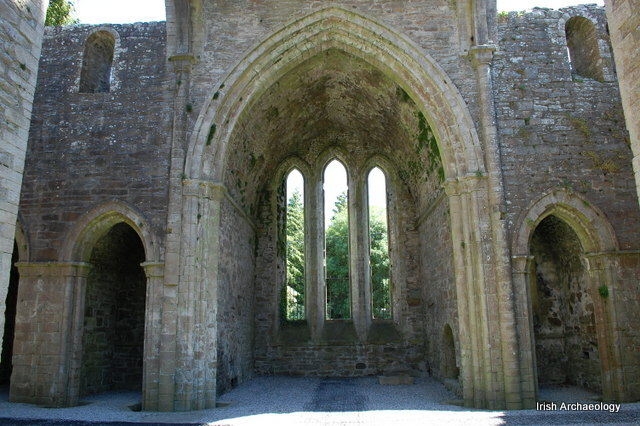 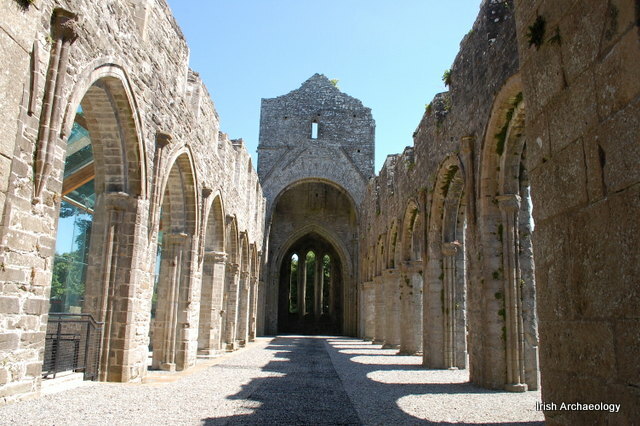 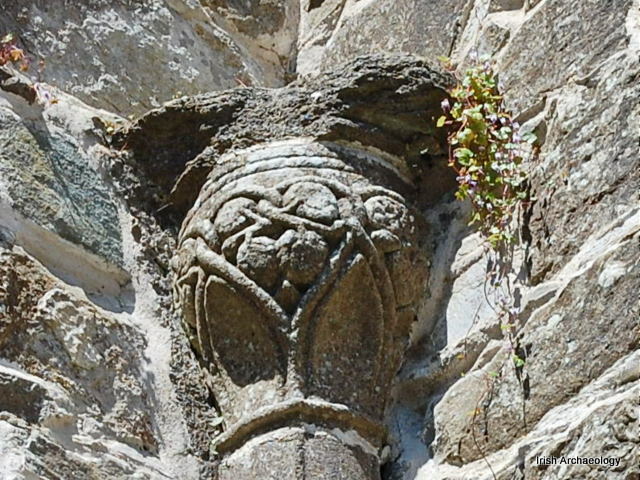 Founded in 1161 AD, by the Cistercian order of monks, Boyle Abbey, Co. Roscommon contains a fine collection of medieval decorated stonework. 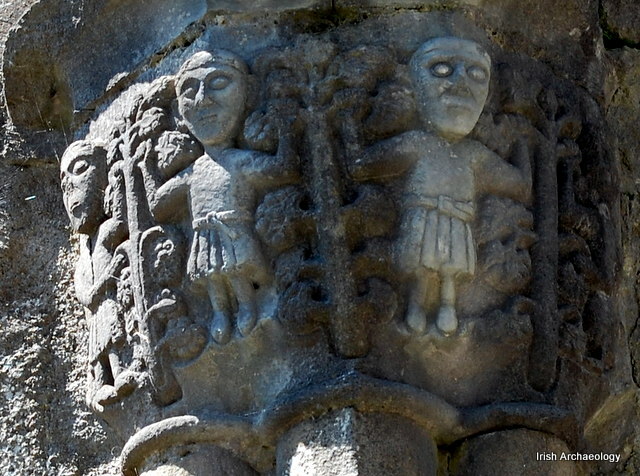 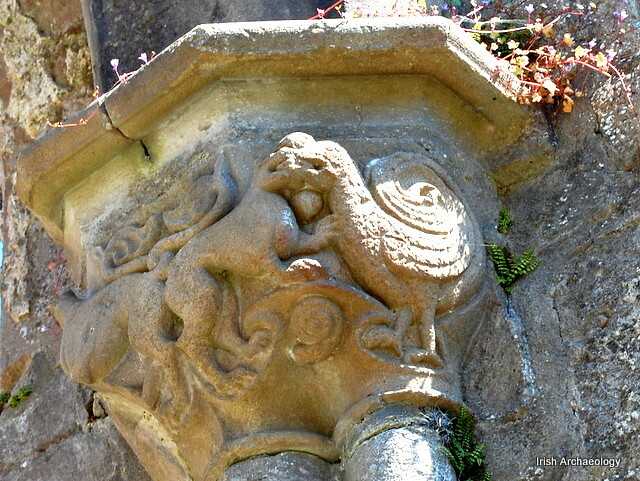 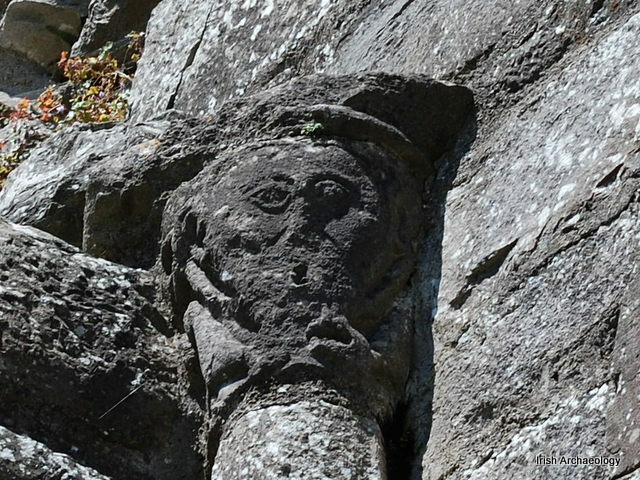 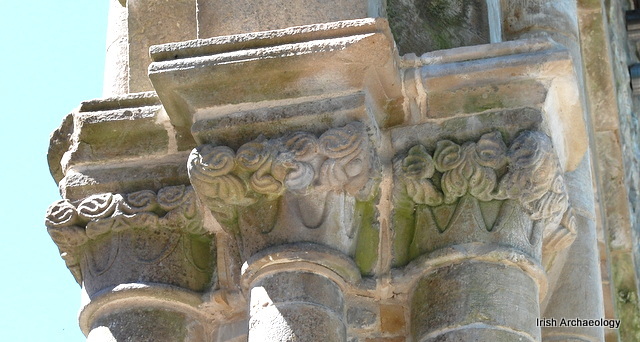 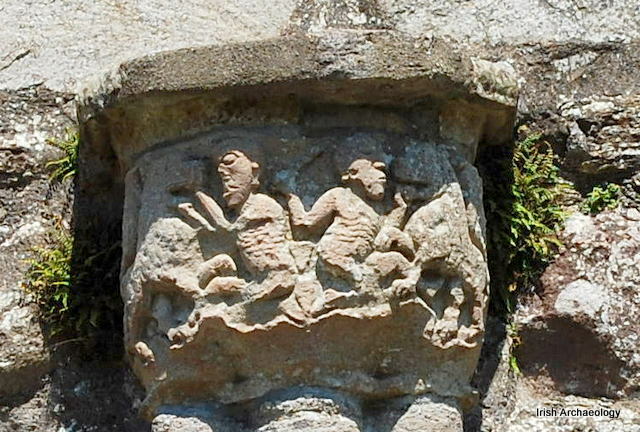 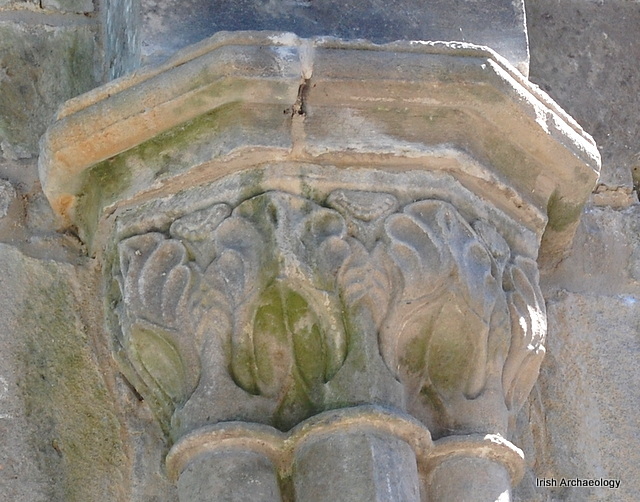 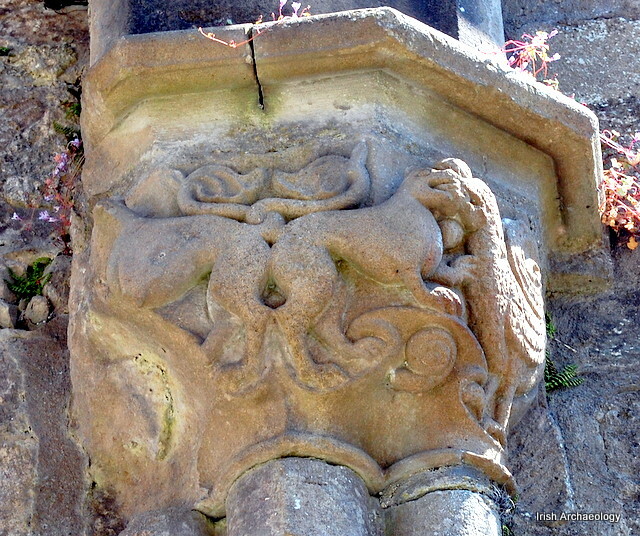 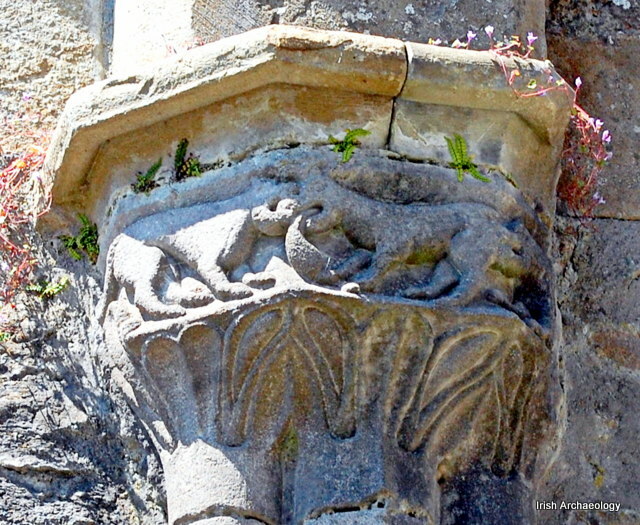 These pieces are found inside the ruins of the late 12th/early 13th century church and take the form of ornate capitals. 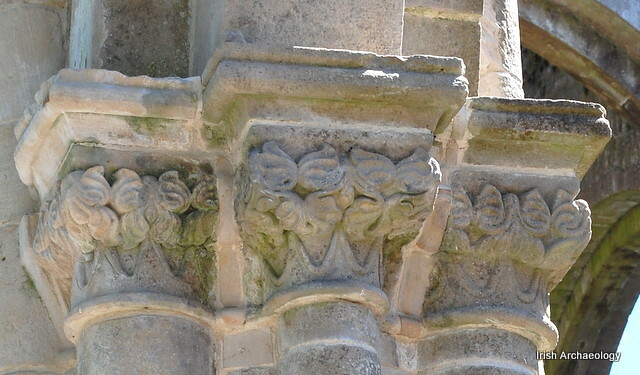 Exploiting a variety of decorative motifs, the stone capitals contain images of both humans and animals as well as foliate and floral designs. 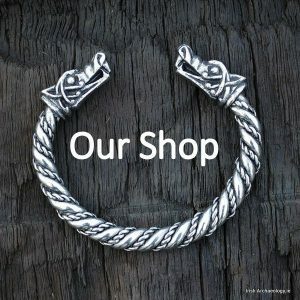 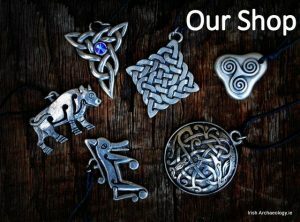 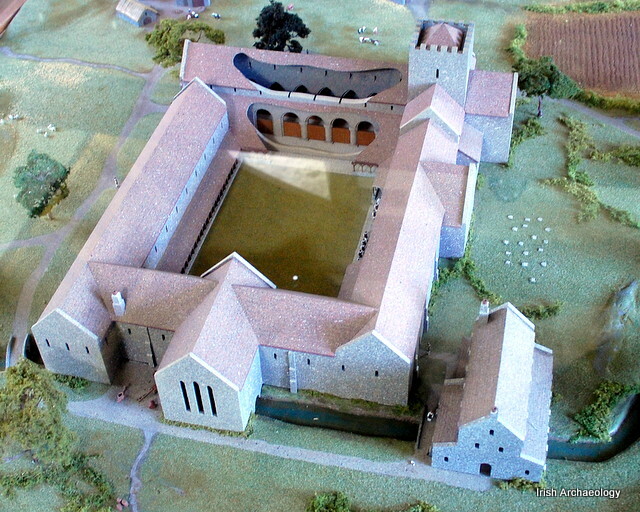 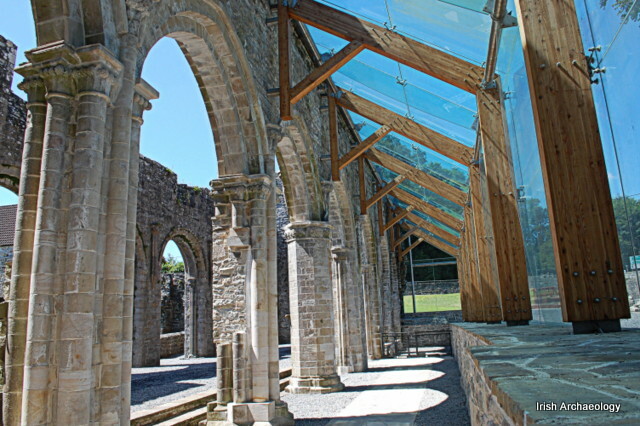 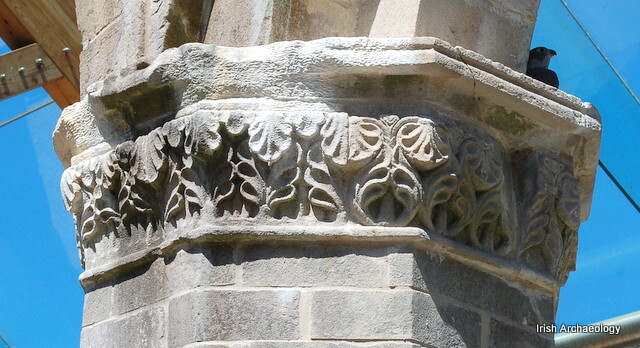 They are expertly executed and are a testament to the medieval masons who carried out this work 800 years ago. 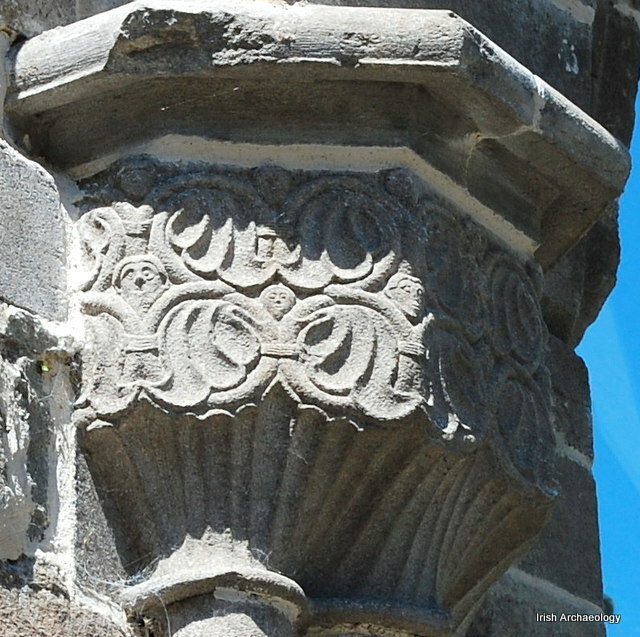 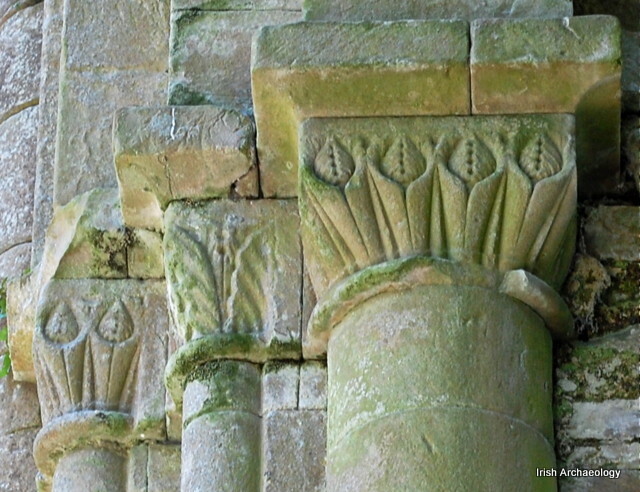 This blog post illustrates some of the finer capitals, which are shown in the photos below.